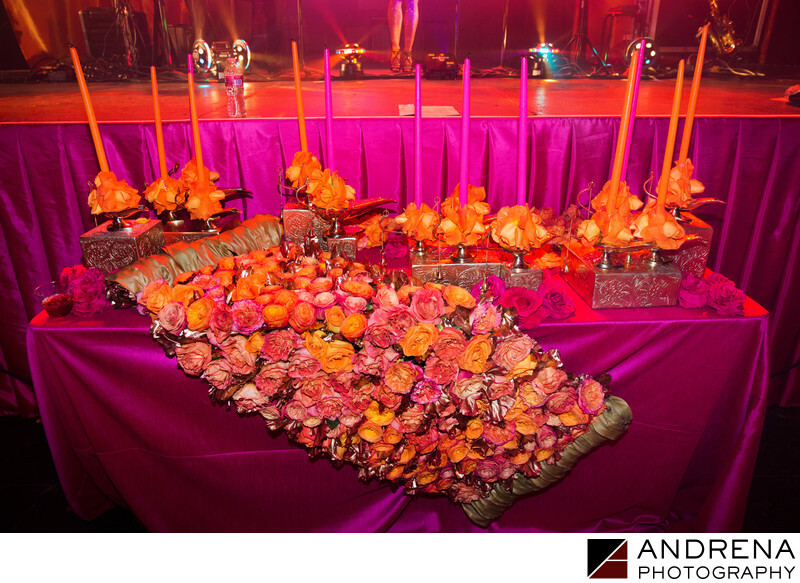 We love this unique candle lighting set up from a Moroccan Themed Bat Mitzvah. There is always room for imaginative takes on even the most traditional rituals and here we see a prime example of that. A floral magic carpet seems to be sliding up to usher guests of honor to light vibrant fuchsia and orange candles atop gilded boxes. Such fun details made every aspect of this event totally memorable for all who attended.